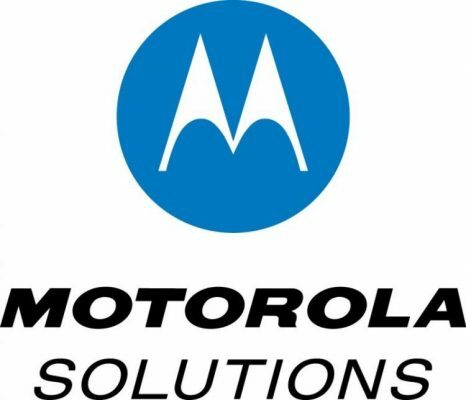 Motorola Solutions officials yesterday expressed encouragement by the company’s third-quarter (Q3) results, repeatedly citing strength within the company’s land-mobile-radio (LMR), which is expected to be bolstered by the signing of key contracts in the United Kingdom (UK) and the state of Florida. “I’m very pleased with our Q3 results that were led by North America,” Motorola Solutions CEO Greg Brown said during the third-quarter earnings call. “We see strong demand across land-mobile-radio products, services and software, and the Avigilon [video-surveillance company] acquisition continues to perform ahead of our expectations. Although Motorola Solutions is an original partner in the AT&T team selected to build and maintain the FirstNet public-safety broadband network, the company’s current 2019 forecast “contemplates no meaningful FirstNet revenue contribution next year,” according to Brown. Last week, AT&T announced that more than 3,600 public-safety agencies use FIrstNet, representing more than 250,000 subscriptions. Brown said that he is “very pleased” with the company’s LMR business and reiterated a prior announcement that Motorola Solutions would receive $1.45 billion from the UK Home Office for a three-year extension to the Airwave TETRA system. Although the Airwave contract has not been signed yet, the extension deal is “pretty cut and dry,” Brown said. No terms were announced for the announced extension of the broadband Emergency Services Network (ESN) arrangement with the Home Office, but Brown said that contract would be “signed at the same time” as the Airwave agreement. Company officials’ expectations for ESN revenue “is reasonably modest for 2019,” Brown said. Motorola Solutions officials are “targeting” that the contracts for both UK extensions will be signed by the end of this year, Brown said. Brown noted that neither UK extension nor the anticipated contract for the state of Florida P25 network—Motorola Solutions’ selection as the lead vendor was upheld, despite a formal protest by incumbent vendor Harris—are included in the company’s record $9.5 billion backlog to end the third quarter. The UK extension and the Florida deal are expected to generate more than $2 billion in revenue, he said. Many U.S. companies are surrounded by worries associated with trade threats associated with China, but Brown said that the Chinese market is “not really significant” to the company, which realizes about 2% of its overall revenue in the massive market. Brown said that this approach could benefit Motorola Solutions, as federal lawmakers have expressed concerns about Chinese-manufactured equipment being leveraged by China’s government to enable state-sponsored espionage and cyberattacks.